Sure, our economy is bad, but there are subtle signs that it’s getting a little better. While we may not be able to reach pre-recession norms, we are getting closer daily. According to the American Bankruptcy Institute, personal bankruptcy filings decreased in the first nine months of this year, compared to data from last year. While this is good news, it can also be interpreted in a different manner. Last year, the Institute recorded the highest number of personal bankruptcy filings since 2005. Bankruptcies are usually the last way out as the consequences of a bankruptcy on your credit report can have resonating effects for up to ten years. Bankruptcy is an option for consumers who have no other option, and are afraid of losing their personal property, such as homes, cars, large appliances, etc. Also, once one files for Chapter 7 bankruptcy, they are not allowed to apply again for another eight years. 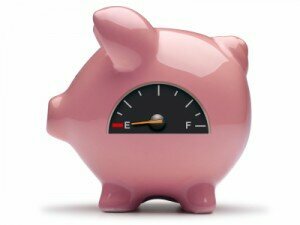 So the recent decrease in personal bankruptcy is not only indicative of struggling consumers. In the past eight years, 10 million consumers have filed for personal bankruptcy. So that means 10 million people are unable to file for bankruptcy at this period in time. According to the National Bankruptcy Research Center, one out of 50 people in the United States have filed for either Chapter 7 or Chapter 13 bankruptcy in their lifetime. This becomes an important issue when consumers apply for credit cards. Consumers that recently file for bankruptcy can find it increasingly difficult to find a good credit card that suits their needs. Banks and credit card issuers generally clump consumers who recently filed bankruptcy along with consumer who have bad or no credit. This means that there are a select amount of credit cards, mortgage loans and auto loans available for you. These loans will more than likely be offered at a higher interest rate or with an annual fee. Even if the data shows that bankruptcy is decreasing, it’s still clear that consumers are filing for bankruptcy at high rates. This is due to our current economic state, and while signs may point to progress, we still haven’t reached the light at the end of the tunnel. But some good news comes in the form of the strengthening of the creditor/debtor relationship. Now, it seems that creditors are more understanding of consumers’ financial situations and are more likely to set up payment plans that accommodate the consumer. In fact, it is commonplace now to see consumers of all income brackets on set monthly credit card payment plans and lower interest rates that they negotiated. Also because of the increase of homes going into foreclosure for delinquent payments has surged over the past decade, it could be anywhere from 18 to 24 months before the banks actually remove you from your home. This extra time could be enough time for the consumer to pay off any excess debt and to save themselves from being kicked out of their homes. The banks have become desperate as well, they are now more inclined to take any form of payment, before sending you to the debt collector. In 2005, the Bankruptcy Abuse Prevention and Consumer Protection Act passed and made it harder for consumers looking to file Chapter 7 bankruptcy. The Act also made it harder for consumers who filed to see the full list of their released debts. Previously, bankruptcy meant exemption from all debts, but the Act changed that. Now, consumers may be forced to pay back some of their other debts. This is a notable change for the face of bankruptcy, which used to be the end-all, be-all solution for a cash and credit strapped consumer. 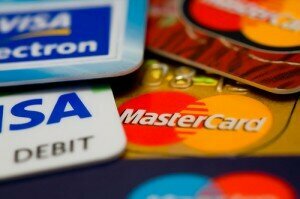 What is the Best Credit Card After Bankruptcy? In today’s economy many people are faced with the difficult decision to declare bankruptcy (BK). Many people have no other option and it was circumstances they could not control which forced them into the bankruptcy. If you have been through bankruptcy because of job loss, medical bills or some other reason try to not let it get you down too much. It is a difficult time, but there is a light at the end of the tunnel. You can not only rebuild your finances, but you can flourish. The long answer is this. Lenders and banks are always very hesitant to lend to a consumer with a bankruptcy on their record. That consumer is considered high risk, and instead of taking that risk many companies will simply deny you. There are credit cards that are made specifically for high risk situations. Most credit cards are what is called unsecured debt. This means there is no collateral backing up the debt you acquire. Even if you do not have $10,000 in the bank you can still rack up $10,000 of debt. This is a typical credit card, right? A secure credit card on the other hand does have collateral backing it up. For example, if you deposited $300 the lender would give you a credit card with a $300 dollar limit on it. You could use the card like any other credit card and when you close the card the deposit is used to pay off the remaining balance. The remaining deposit money is returned to you. A secure credit card dramatically reduces the risk to the lender and the best option after a BK is often a secure credit. If you can qualify for an unsecure credit card, that is great as well. The best CC to rebuild credit after a bankruptcy is whatever card you can get that reports to the bureaus. Remember to keep these tips in mind though. The majority of secure credit cards have fees associated with them. Expect to pay some sort of fee to use a secure credit card. Using a well-known financial institution is recommended. There are a lot of people out there trying to take advantage of folks after bankruptcies. They are easy targets because their options are limited. Using a well-known financial institution will help you not get ripped off. Remember the easiest card to get is not always the best. Be sure the lender issuing you the card will report your activity to the credit bureaus. Some companies do not report secure credit card information. If they do not report your activity the card means nothing. How long after my bankruptcy until I can get a Credit Card? Many times you can get a card right after. It is going to depend on what type of card you apply for and if the lender approves you. Applying for a credit card after bankruptcy is easy. Here is a great option you may qualify for.